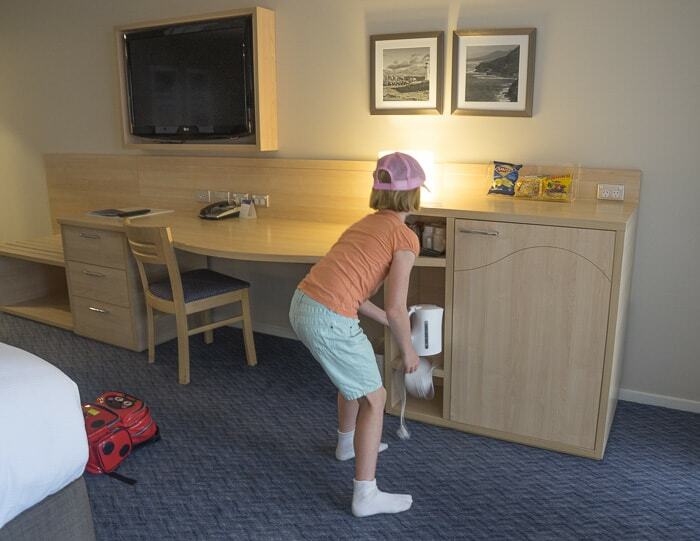 When you’re searching for kid-friendly accommodation, it’s a given that the Novotel brand is worth checking out. 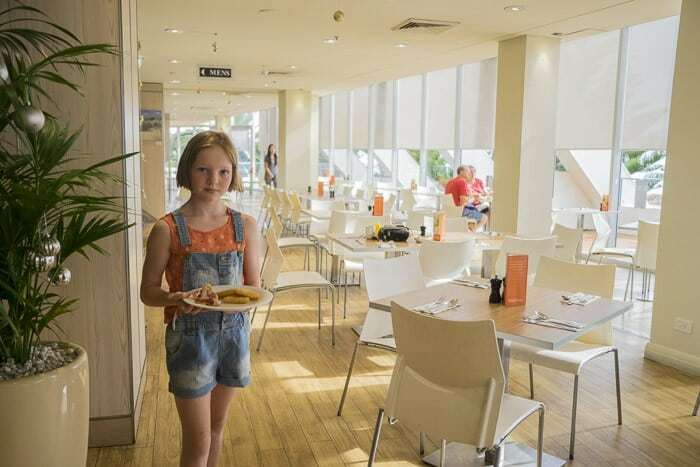 Each Novotel hotel or resort aims to provide families with a comfortable and child-focused accommodation. So when I was researching the post on Planning A Trip To Jamberoo Action Park, I immediately looked up the Novotel Wollongong Northbeach. Family friends from school had also stayed and recommended it, always a good sign. So myself, the twins and a friend of theirs stayed the night before our big class trip to Jamberoo. Another mum and her daughter and wee friend also booked to stay there and were in a room just along from us. The weather wasn’t fabulous on the day we were there, but we had a good time nonetheless and found the hotel very convenient for kids. Here’s our review. 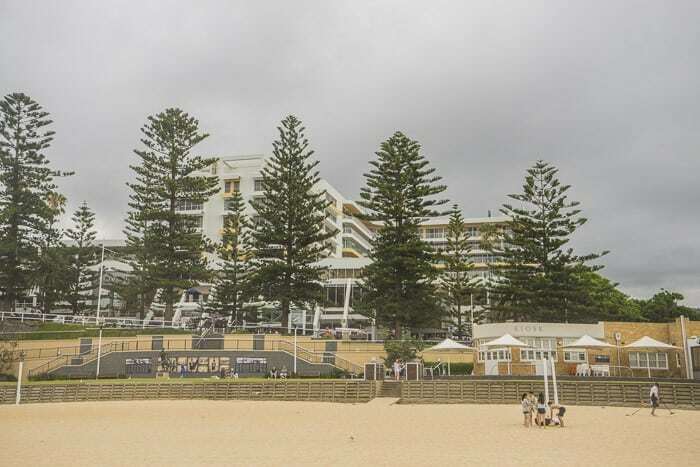 The Novotel is right across the road from Northbeach – fantastic. 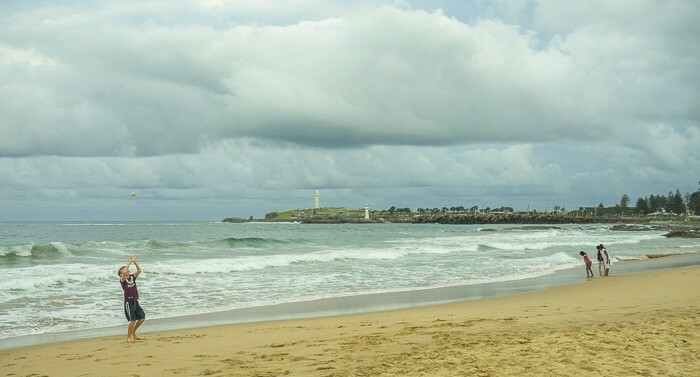 The Novotel is just across the beach from North Wollongong Beach. 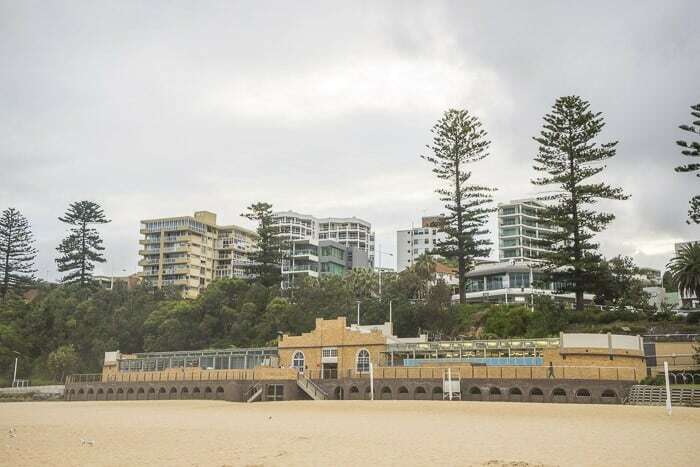 You can play on the beach, the flags should be up right there close to the Surf Life Saving Club. 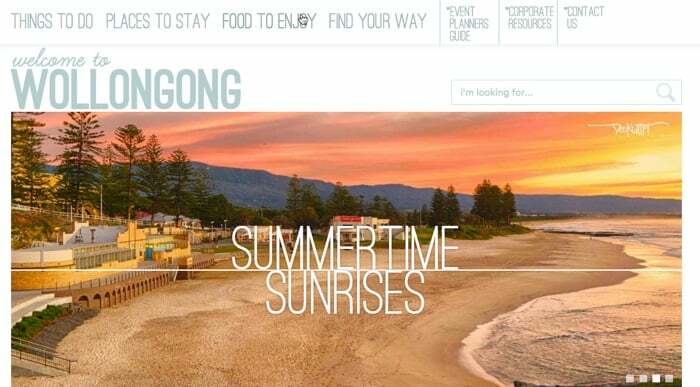 Here’s a gorgeous sunset photo of the beach and Pavilion, from the Visit Wollongong website. I’d so love to visit in fine weather and photograph the sunrise and sunset here. One day! We stayed in two Ocean View Balcony Rooms. One had a queen bed and the other had two double beds. This made for HEAPS of space for the four of us. We could have squeezed into one room with double beds but I can guarantee I’d have had no sleep at all sharing one room with three wriggly nine year olds. Ms9 and I slept in the queen bed, we liked having the balcony and lots of space. She behaved impeccably as you can see. 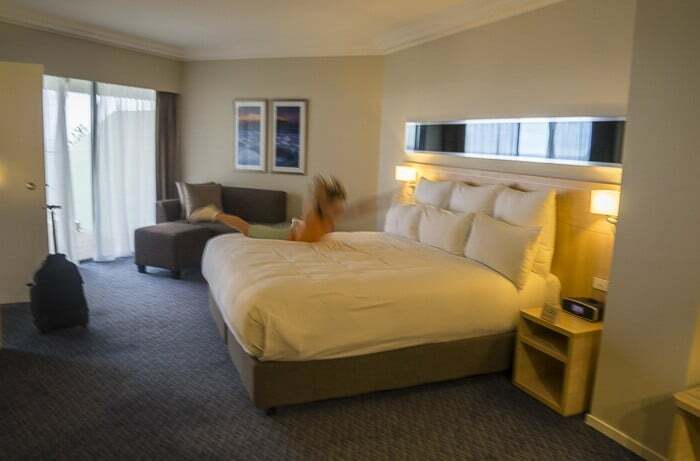 The Novotel has 204 rooms and suites, including: Family Suites, Standard Residential Rooms, Superior Ocean View Rooms and the Superior Ocean View Balcony Rooms we were in. Very comfy bed and mattress – where’s my cup of tea? We used the room service menu for our evening meal. there were plenty of healthy choices even for the kids. Having the table and four chairs made this really easy. I do love a good room service when with lots of kids. Windjammers is a large restaurant with indoor and outdoor spaces. Indoors, it’s elegant and spacious, light and bright. 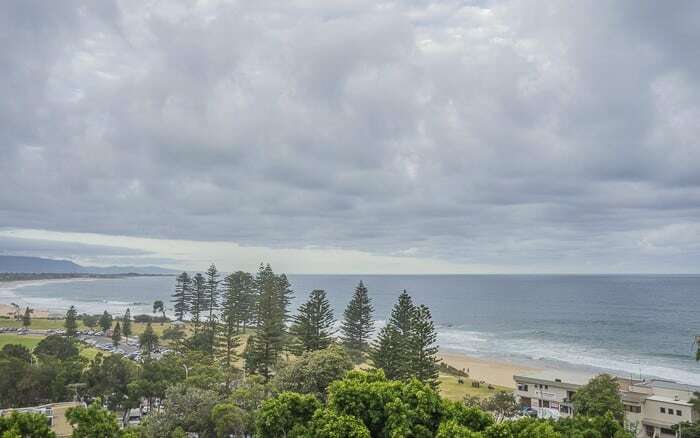 There are wonderful views over the beach and ocean. 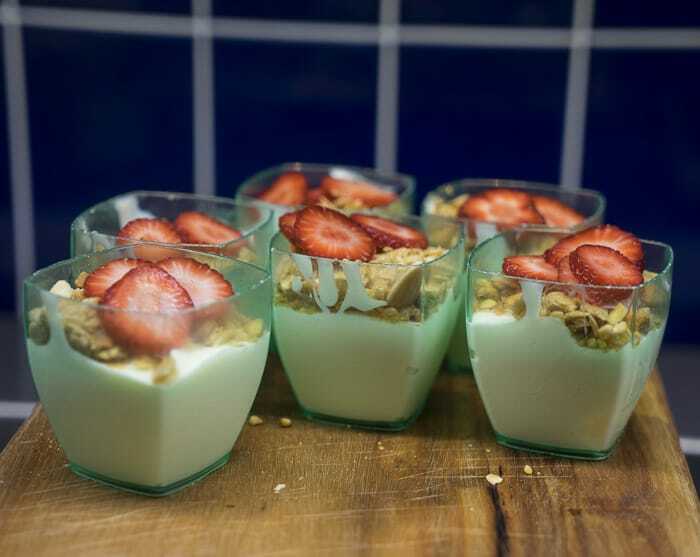 Windjammers serves breakfast, lunch and dinner. 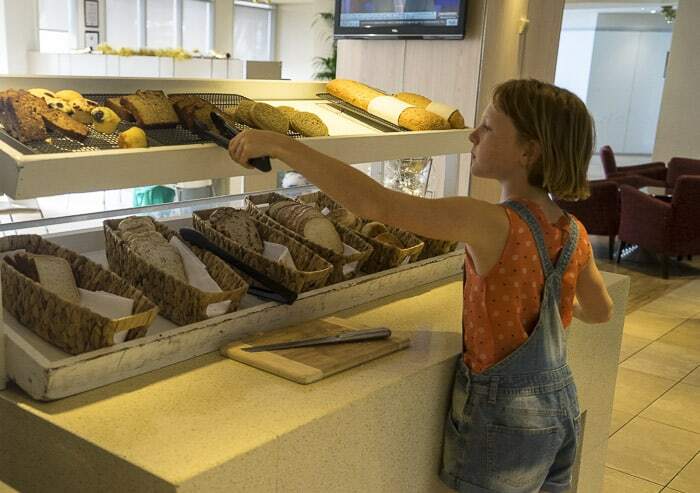 We enjoyed our buffet breakfast there, enjoying the cute touches. This is a spacious area with comfortable seating indoors plus an outdoor terrace. It’s open for drinks from 3pm on weekdays and from noon at the weekends. On ground level and right across from the beach, Pepe’s has a wonderful nautical vibe. It serves food and drink all day and until late at night. 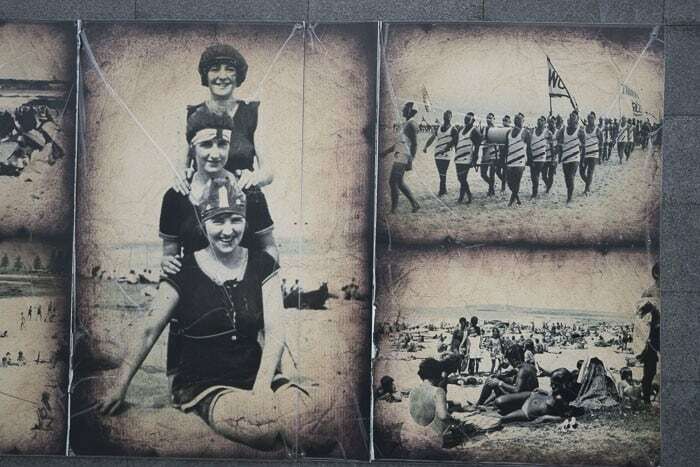 We poked our noses in as we went to the beach but didn’t stop in – we regretted it! There’s a hotel pool, spa, sauna and gym. We were headed to Jamberoo and didn’t use the pool at the hotel. We definitely would on a warmer day. 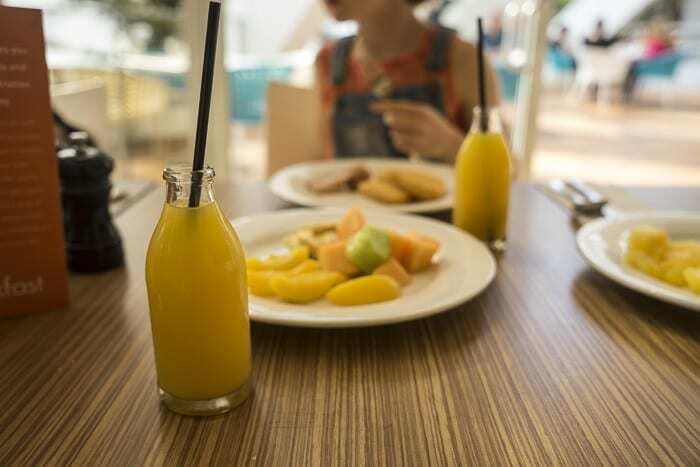 Novotels offer second rooms at a 50% discount to families who need two. This makes for a great saving. 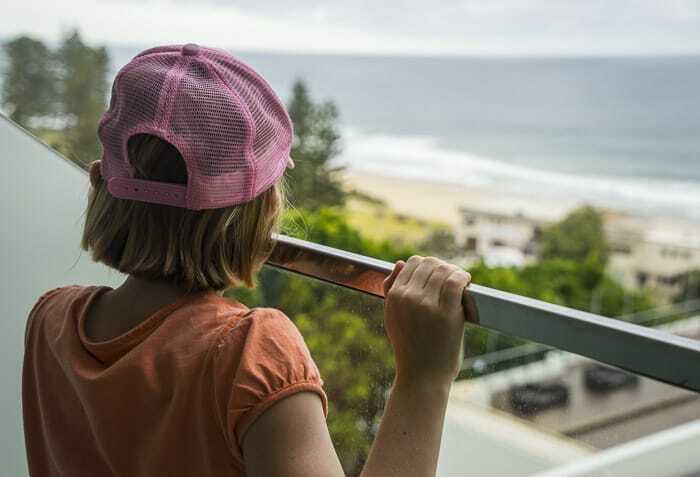 The Novotel Wollongong Northbeach often offers a Jamberoo Summer Family Fun package which include entrance to Jamberoo. It’s definitely worth checking the website for special or calling the hotel at any time of year, of course. 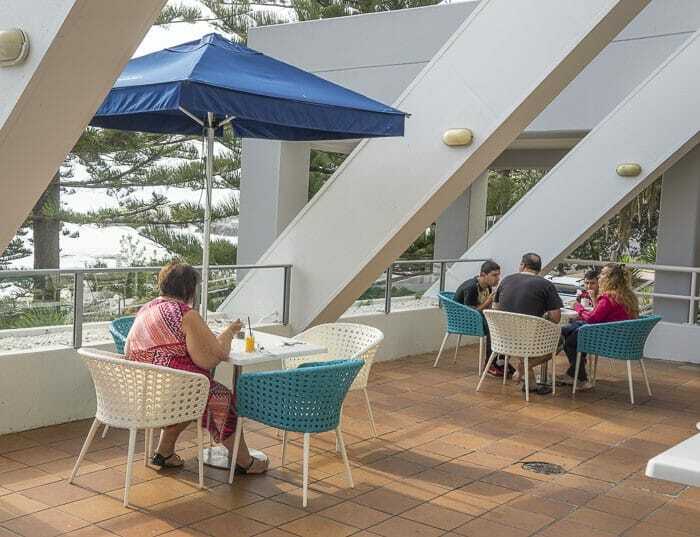 Check availability and pricing at the Novotel Wollongong Northbeach here. Have you stayed at this Novotel? At any others? 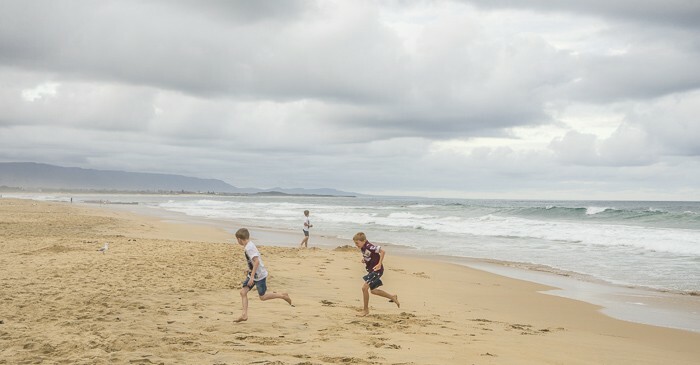 Can you recommend fun family activities in Wollongong? We stayed in two rooms at the Novotel. One was kindly provided free of charge and we paid full price for the second room. 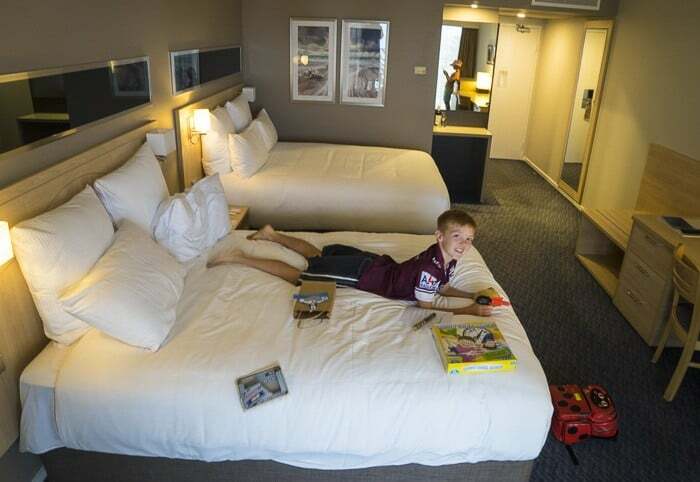 Many thanks to Accor Australia and to the staff of the Novotel Wollongong Northbeach.